ENRG has launched EPICAM, a portable, mountable and submersible camera. The device is priced at Rs. 7,990 and is available on the company’s website. The EPICAM has a 2-inch LCD screen and 12MP camera with a 170 degree wide angle lens. The camera is capable of recording 4K videos and is waterproof up to 30 meters. ENRG, a consumer lifestyle electronics company recently launched EPICAM- the most awesome piece of equipment you will crave to own. The EPICAM is a Portable, mountable & submersible camera – use it in a miscellany of ways. The EPICAM is one of the best action cameras which allow you to capture life underwater, skylines, landscapes or wildlife. The EPICAM features a 12-megapixel camera with 170 wide angle lens which allows the user to capture moments underwater, skylines, landscapes or wildlife with flawless clarity. The most striking feature of EPICAM includes a head mount to shoot videos while driving or cycling, or add a waterproof housing to capture fascinating underwater life. Additionally, EPICAM gives you the freedom of uninterrupted Wi-Fi and Bluetooth connectivity, you can Stream, edit, and share with ease. Reduced noise, adjusted exposure and increased light sensitivity. The camera can be connected with the Smartphone via WiFi and you can share the images instantly using the mobile app. The app is available for iOS and Android users which will turn your Smartphone into viewfinder to watch recorded action or live streams from the camera as well as making it as a fully-functional remote control enabling you to start and stop video recording and take photos via your device. 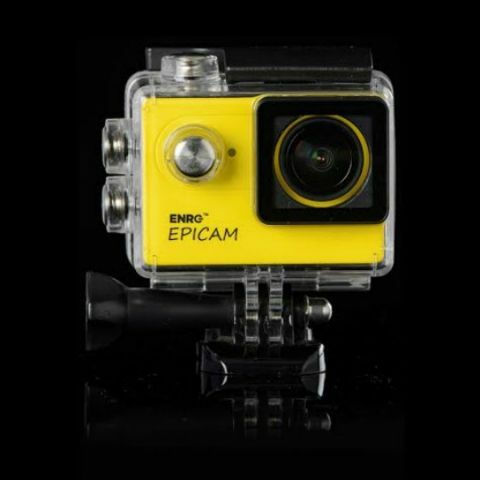 The EPICAM is priced at a very attractive price-point of INR 7,990 and is available at www.enrg.in. best digital camera around Rs.6000 ?